The threat to local, community control of our schools—particularly those in historic Black & Latinx neighborhoods—will continue as long as HB1842 and SB1882 are in effect, and if you watched that fight last year, you also know that we warned that the battles in HISD were not over. In the spring, the fight culminated in three women being detained by HISD police during a school board meeting and two women being arrested and spending the night in jail. Now, the fight has returned. While most people focused on the A-F grading system for schools making the headlines in 2015, a lesser watched piece of Texas House Bill 1842 added by Houston-area State Representative Harold Dutton who amended the bill to include language that added a mandatory death penalty for local school boards as a consequence to the system. Dutton authored a mandate that if schools were labeled failing or “Improvement Required” by the state assessment system for five consecutive years, the Commissioner of the Texas Education Agency (currently Mike Morath) would be forced to take one of two actions. He would either have to close the school and keep it closed for at least a year, or he would be required to replace the entire membership of the school’s elected school board with an appointed board of managers. This portion of the law went into effect this past school year, 2017-2018, meaning that any district which had even one school considered failing for a fifth consecutive year was subject to this new death penalty. Houston ISD and twenty-five districts across the state were affected. But the story doesn’t end there. In the spring of 2017, just months before the sanctions of HB1842 were slated to go into effect, the legislature passed Texas Senate Bill 1882, which gave school boards another option for these so-called failing schools. SB1882 encouraged school districts to hand over control of these neighborhood schools to charter operators (referred to as “partnerships”) the year before schools would get ratings for the fifth year. In exchange, the school and its board would get a reprieve from Representative Dutton’s death penalty for two years and, as a bonus, would receive extra funding for every student enrolled in one of these charter-controlled schools. With one law the death penalty (1842) and the other law the price of clemency (1882), these two laws now work together to coerce local school boards to be the hand of privatizing their own neighborhood schools. One by one, schools are turned over to private, appointed organizations by local politicians that want to save their fledgling political careers, and in turn, these “partnerships” provide cover for conservative leaders that would have a hard time explaining to Texans how their state undermined local control of schools with state-mandated takeovers and closures. In brief, the community showed up and fought for their schools. And HISD and the Texas Education Agency backed down. In August of 2017, the Houston ISD school board was staring at ten different schools which had been “failing” for at least four consecutive years, and they were staring at the looming Dutton death penalty coming at the end of the 2017-2018 school year. In January of 2018, then-Superintendent Richard Carranza announced that they would preemptively close or charter fifteen schools. After community backlash, the list was shortened to just the ten schools under immediate threat of state sanction. In January and February, the administration went to all ten of the schools and held community meetings. The plan presented to the community at each of these community meetings was not the plan the board ultimately considered, and parents and community members were given almost no information about the process or the proposed plans for the management of their schools for the next year. Only when the board published their mandatory meeting notice did the public officially learn that the partner under consideration was Energized for STEM, Inc., an entity that was part of a larger network of in-district charter schools in Houston ISD—an entity with significant profit-making real estate holdings related to its charter operations and considerable political connections with the board and city and state officials. The community showed up to voice opposition at the board meeting where the trustees were set to approve giving control of these schools away, but Board President Rhonda Skillern-Jones ordered the room cleared and as a result, three women were taken into custody by HISD police and two of them spent the night in jail. Following this emotional meeting, the board opted not to reconvene and effectively chose not to submit a charter proposal to the Texas Education Agency. A few months after this April 24th board meeting, a combination of one-year Hurricane Harvey waivers and some schools showing “improvement” in a rigged system which sets passing levels after students take the test meant that HISD avoided Representative Dutton’s death penalty without chartering its historic schools after all. We heard grim warning after grim warning from the then-Superintendent Richard Carranza and the then-Chief Academic Officer Grenita Lathan, from past and present school board trustees, from the leader of the local teachers’ union Zeph Capo, and even from the TEA itself about how Houston ISD would likely not get all ten schools out of failing status in time. But then, HISD—the state’s largest school district—narrowly escapes state takeover, notably just three months before election day in a Texas gubernatorial election year. Notable, indeed. Remember, that Hurricane Harvey waiver, which everyone was encouraged to write to the TEA requesting and was then relieved to see granted for four of the ten threatened HISD schools, was only for one year. Now, more than six months since that April 24th board meeting, HISD finds itself in the same situation. This time there are four schools instead of ten on the list. Those four schools are Wheatley High School, Kashmere High School, Henry Middle School and Highland Heights Elementary School. There are a number of things these four schools have in common. They’re all within a single part of town—historically Black schools in historically Black neighborhoods like the Fifth Ward. They’re also all inside a single school board member’s district—District 2, represented by current board president Rhonda Skillern-Jones. The entire list inside one trustee’s district versus three last year makes it easier to find a majority of sitting trustees to vote in favor the proposal—even if the one trustee affected votes against. It’s even easier if that trustee doesn’t plan to run for reelection as Skillern-Jones has floated. One other thing each of these schools have in common: They all have a student population which overwhelmingly carries the burden of poverty into the classroom each day. A burden that comes with the risks of Harvey-like disaster year round and every year—waiver or no waiver. A few weeks ago, the Texas Education Agency announced this year’s deadlines for chartering schools under SB 1882. Last year that date was April 30 (hence the infamous April 24 board meeting); this year, that deadline is February 4th (meaning the one-year Harvey waiver only bought the board five months since results were announced in August). Last year, the school board had to decide whether it will give up control of schools before the STAAR test results were even known. This year, the board will have to make that decision even earlier—before the STAAR test is even administered. It is shocking how similar this process is unfolding compared to how things unfolded last year. The school board has had virtually no public discussions on this topic, and community meetings have not been announced. They will be soon be pressed to vote on this issue sometime in January in order to make the February 4th deadline, and with the holidays arriving, this board is extremely behind on engaging the public in any meaningful way. If things become as bad as they were last year, it is possible that the name of the partner and the terms of how these schools will be governed for the next five to ten years might not be announced until the board posts their required meeting notice 72 hours before their regular January 10th board meeting—or even later yet if they choose to use a specially-called board meeting as they did on April 24th. 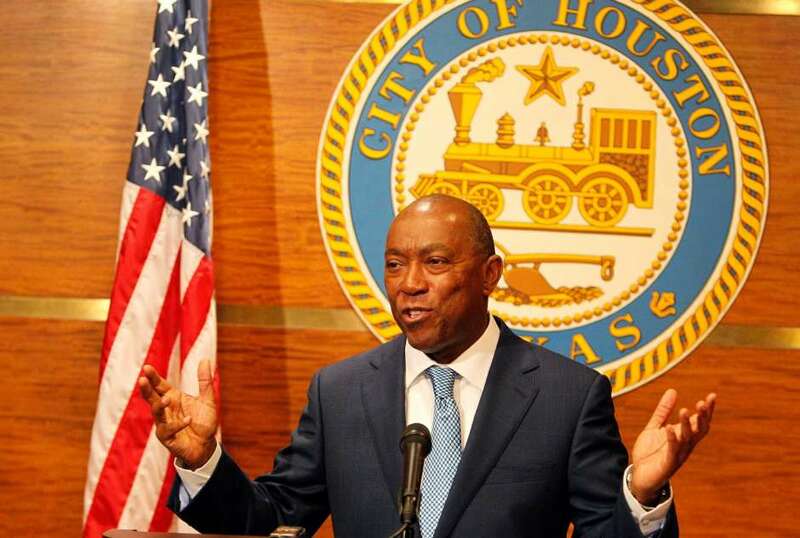 The only partner even mentioned in public, albeit behind a shroud of secrecy, has been the City of Houston—a troubling development given city leaders’ record on education reform. Sylvester Turner, prior to being Houston mayor, was in the Texas legislature for almost three decades where he had a significant pro-testing, pro-charter record on education reform. 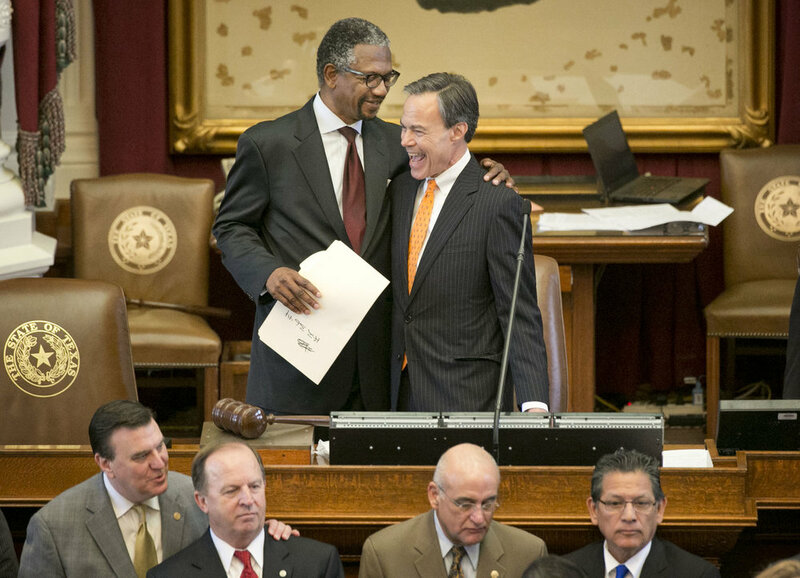 One of the first bills he authored in the legislature was a voucher bill while one of his last major votes on Texas education policy was in favor of HB1842, the law that now jeopardizes democratic control of HISD. 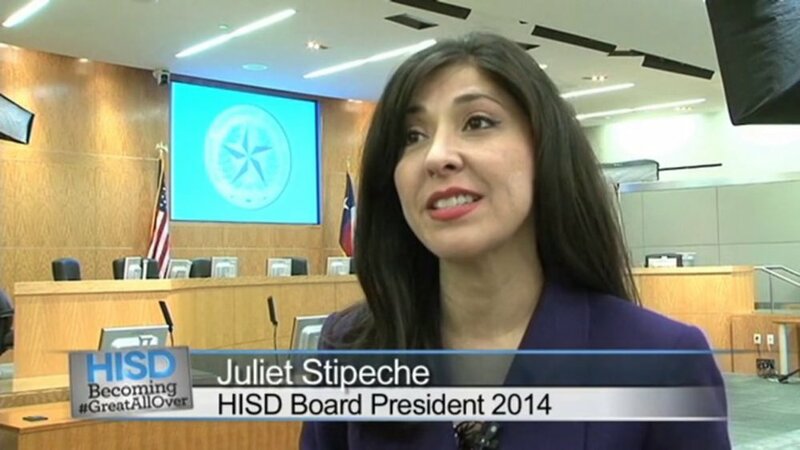 Juliet Stipeche, the Mayor’s Director of Education and charged with organizing the city’s proposal, is a former HISD trustee and was notably president of the HISD school board when it last voted to close a Black school (Dodson Elementary) and gut a Black school of its programs (Jones’ loss of comprehensive high school programs). Both of which happened in March of 2014 and both of which Trustee Stipeche voted in favor. Recently, Stipeche has traveled with both Houston city council members and HISD school board members to visit Los Angeles, where the city recently took control of some its “failing" schools in a city-sponsored privatization scheme. It should be noted that the City of Houston has no expertise in running or governing K-12 schools, and Stipeche is a lawyer, not an educator, by trade. The only thing the city has that HISD trustees lack is the political clout to mitigate backlash in the Black communities affected by the chartering of these four historic schools. Also notable? To date, there has been no public announcement or dialogue of a plan—by the city or anyone else. It is clear that the backroom has been busy carving up the future of these schools for months. And now, with the February 4th deadline about two months away, it looks like these communities will only be afforded a press conference and a short PR campaign by the mayor before an “emergency” vote is required by the HISD board. If you’ve followed the HISD board at all recently, you’ve witnessed our trustees fighting amongst themselves in sensational fashion. While I value authenticity and transparency in discussions that involve our children's schools, the divisions within this board reveal a distasteful lack of leadership and a deep political selfishness amongst the officials that we elected to protect and nurture our children. Their inability to do this has been disheartening. But with all their poor community engagement, backroom dealing, and appearances of corruption, why should we fight to keep a horrible school board full of selfish trustees? It is a legitimate question. Why should we continue fighting for a school board that doesn’t do its job? The answer is this: As terrible as this board has been, it’s OUR school board. We’re not fighting to keep these specific school board members. We’re fighting for OUR RIGHT to self determine as a city and a community what are schools will be like—discrimination policies, curriculum, nutrition, discipline, budgets, equity. We are fighting for OUR RIGHT to elect our own leaders, and fire them when they don’t do a good job. We can replace the current members. The same can’t be said of a wealthy white corporate-owned bureaucrat in Austin’s ivory tower, or a City Machine in collusion with charter interests driven more by profit and politics than the well-being of HISD families. We can shine sunlight on our board and change things; other forces that conspire to take over will do their work in secrecy. Representative Dutton and the state legislature were correct that we need more accountability for our school board members. But they were absolutely wrong about what that accountability should look like or that it requires stripping direct democratic control from Black and Latinx schools. There is an alternative to HB1842 and SB1882 which maintains democracy in our public school system while also making our elected officials more accountable to us: the parents, the students, the community and the taxpayers. We can do better and demand better from our elected officials.